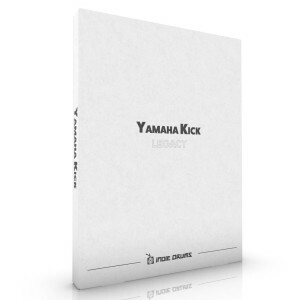 We recognized a need for warm, rich and natural sounding drum samples. Unlike many existing drum sample libraries that can sound ‘ultra hi-fi’, with scooped mids and over processed tops, our drum samples deliver a full, punchy and natural sound. Although the samples have been processed, there is plenty of room for you the engineer to scoop mids or add punch… These samples sound like natural, acoustic drums with lots of body. Our samples are all recorded at a minimum of 24 bit/48KHz format to ensure high quality sound for your mixes. New libraries are up to 96KHz. Our sample libraries are currently available in Drumagog format (.GOG files), Trigger format (.TCI) and as .WAV files for maximum system compatibility. I heard them, and wanted them immediately. Our 2016 libraries take your production to the next level with up to 24 Bit 96KHz production. 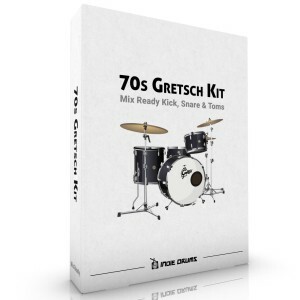 Our new 70s Gretsch Kit is the first Mix Ready™ series product with more to follow late 2016. Indie Drums Vol. 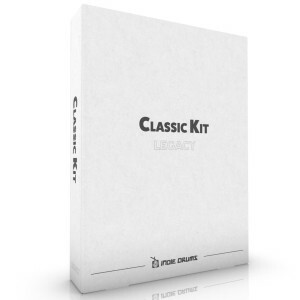 1 & Classic Kit Libraries have been retired to our legacy product range and feature new lower pricing. Compatible with Trigger, Drumagog and .WAV. Back in 2013 we released individual drums from our Vol. 1 library. These kicks and snares have been retired to our legacy product range and available at lower prices. Get on the list and be the first to hear about updates, specials and new free drums samples!